Before I go any further, let’s get some terminology untangled, because I’ve heard the term “copywriting” thrown about in a most casual manner—and as Inigo Montoya might say, “I don’t think that means what you think it means.” By my definition, copywriters like me craft copy that persuades the reader to take an action (typically, purchasing a product, making a donation, signing up for a mailing list, etc.) We write sales letters, marketing and advertising campaigns, postcards, flyers, brochures, landing pages, and persuasive short copy like billboards and tag lines. We also write strategic branding and positioning copy like “About Us” pages, company and personal bios, mission statements and so forth. Marketing copywriting is a distinct skill set, quite apart from general content writing. Content writers create topical, informative content such as articles, blog posts, white papers and social media posts. (You could even think of journalists as content writers.) While “content marketing” is definitely a thing, typically content writing doesn’t include a call to action or rely on ninja persuasion techniques. It’s frankly easier to do, so there are a lot more content writers out there than there are marketing copywriters. So, how do you learn copywriting? Much of my training happened on-the-job, at the little direct marketing agency where I first discovered that “marketing copywriter” was an actual profession. I imagine that’s how most copywriters learned their craft, back in the day—through mentorship. Today, we have a lot more options for learning how to write copy. Several national seminar companies offer bootcamps like the two-day workshops I taught all over the country a couple of years ago. More and more copywriters like me are creating their own online trainings. But believe it or not, you can learn how to be a copywriter “in the privacy of your own home” using just my favorite copywriting books. These are a few of the must-have books about copywriting that I recommend to every aspiring writer. The Copywriter’s Handbook: A Step-By-Step Guide To Writing Copy That Sells by Bob Bly is a great introduction to freelance copywriting as a career. This easily digestible manual offers top-notch copywriting techniques, along with lots of nuts-and-bolts advice about professionalizing your work process and setting up your copywriting business. The Ultimate Sales Letter by copywriting kingpin Dan Kennedy gives you a forensic-level analysis of what makes a sales letter tick, and also includes coaching on how to get your sales letter opened and how to use graphics persuasively and effectively. It’s one of my copywriting Bibles. On the Art of Writing Copy by Herschell Gordon Lewis. Also ranking among my top choices of copywriting books, this epic manual of persuasion includes in-depth lessons, plus dozens of examples of both great and groan-worthy sales writing. (Fun fact: Mr. Lewis is also the genius behind the 1960s-era genre of exploitation films known as “gore“. Weird, but true.) Like Kennedy’s book, the examples in Lewis’ book are getting a bit long in the tooth, but the concepts are timeless. 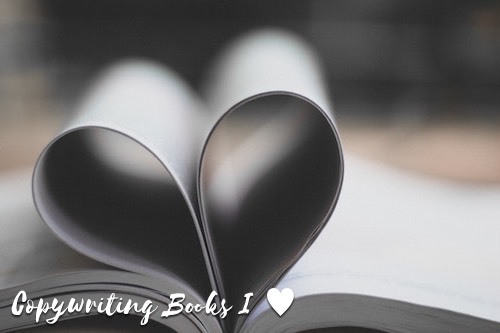 I’m sure there are other great copywriting books out there (and I’m working on one myself!) What are your favorites? Give them a shout-out in the comments and I’ll add them to my reading list! Links in my blog posts and throughout the site may be affiliate links, which means that buying through them costs you nothing extra, but may throw some coin into my tip jar (thanks in advance!) Read my full disclosure here.